Stepping off the boat in Mombasa, eighteen-year-old Rachel Fullsmith stands on Kenyan soil for the first time in six years. She has come home. But when Rachel reaches the family farm at the end of the dusty Rift Valley Road, she finds so much has changed. Her beloved father has moved his new partner and her son into the family home. She hears menacing rumours of Mau Mau violence, and witnesses cruel reprisals by British soldiers. Even Michael, the handsome Kikuyu boy from her childhood, has started to look at her differently. Isolated and conflicted, Rachel fears for her future. But when home is no longer a place of safety and belonging, where do you go, and who do you turn to? This is a beautifully written novel set in the atmospheric background of 1950s Kenya. This is Rachel’s story; an 18 year old British girl who returns to Kenya after staying in England for sis years. We follow her story as she tries to adapt her life to rural Kenya. But Kenya is not the same as it was when she left. I didn’t know much about the history of Kenya and this made for a fascinating read. The occasional violence is very hard hitting and unsettling. 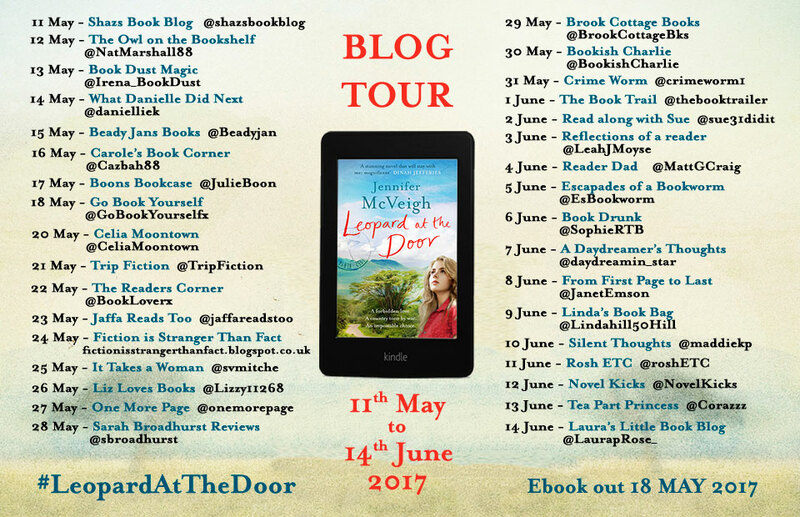 Jennifer McVeigh’s descriptive style makes it a compelling read. He vivid descriptions of the landscape, the people and their lifestyle draw you into the book. 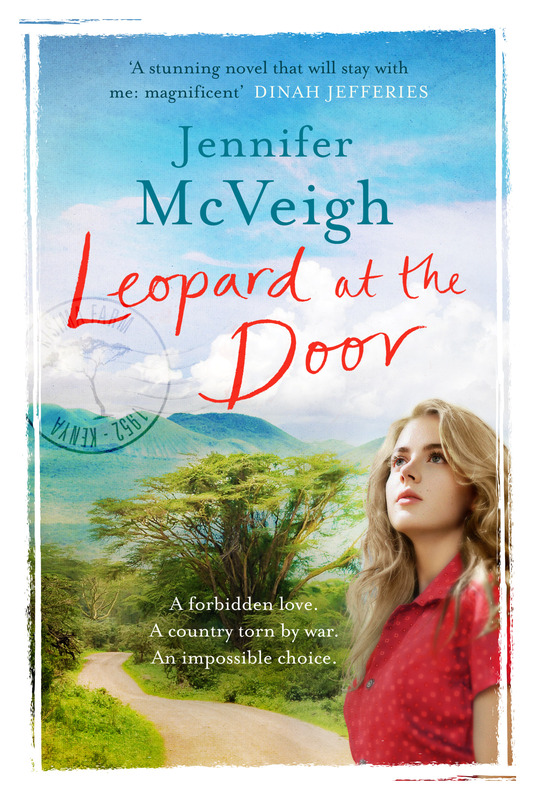 This entry was posted in books, review and tagged Jennifer McVeigh, Kenya, leopard at the door, NetGalley, Penguin on June 10, 2017 by Maddie.